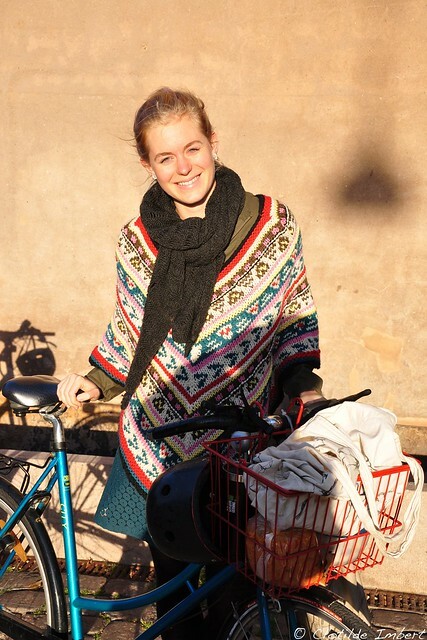 " I cycle everyday over 16 kilometers with this bike". "I live with a bike mechanic. So, he taught me how to maintain my bike myself and last month I spent the whole day fixing it. I live in a collective outside the city where everyone cycles. So, everybody helps each other maintaining the bikes." "What is the relation to the bikes within this collective?" 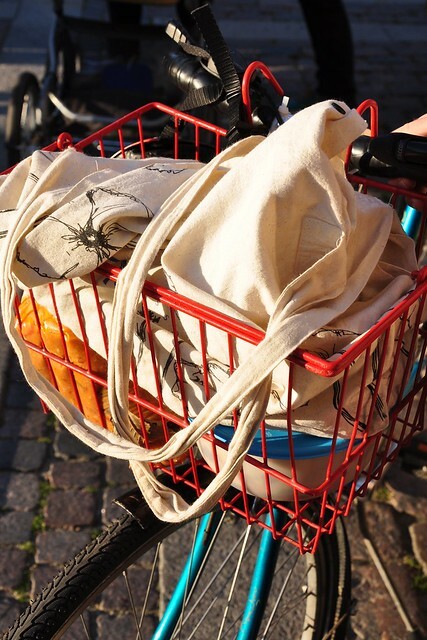 "Everyone owns a bike and we have also extra bikes for guests and one Christiania bike in common. We can use it when we want. Last week, I use it to carry lot of apples I bought to press them and make juice. It was full of apples."